Adult Swim has just renewed Dan Harmon and Justin Roiland’s incredible cartoon series, Rick And Morty, for 70 episodes. This is clearly a reason to celebrate. Rick And Morty is something of a cultural phenomenon. Dan Harmon and Justin Roiland have created something akin to our generations Family Guy or The Simpsons, only less politically correct and in my opinion, better. 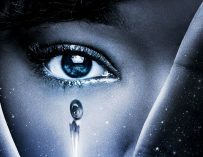 The show has now had three seasons, and the fans have been demanding for more. For a while, the show’s future was slightly uncertain, yet everything about Rick And Morty is a bit of mystery. The first episode of the third season came out of nowhere. It just landed online unannounced, and in retrospect, it was the perfect way to start the new season. 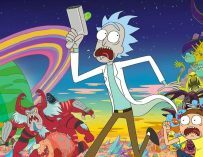 According to The Hollywood Reporter, Adult Swim has just ordered another 70 episodes of Rick And Morty, and since there are only 10 episodes per season, it means that the show could be on air for another decade. Image that, a decade of Rick And Morty! This has been described as a “long-term deal,” yet there is no time frame, so technically the show could just go on forever. However, The Simpsons is living proof that no show should outstay its welcome and I’m sure that Harmon and Roiland will know when it’s time to say goodbye to Rick and Morty and their crazy adventures. What do you think of this news? Are you happy that there’ll be another 70 episodes of Rick And Morty? Let us know in the comments below.